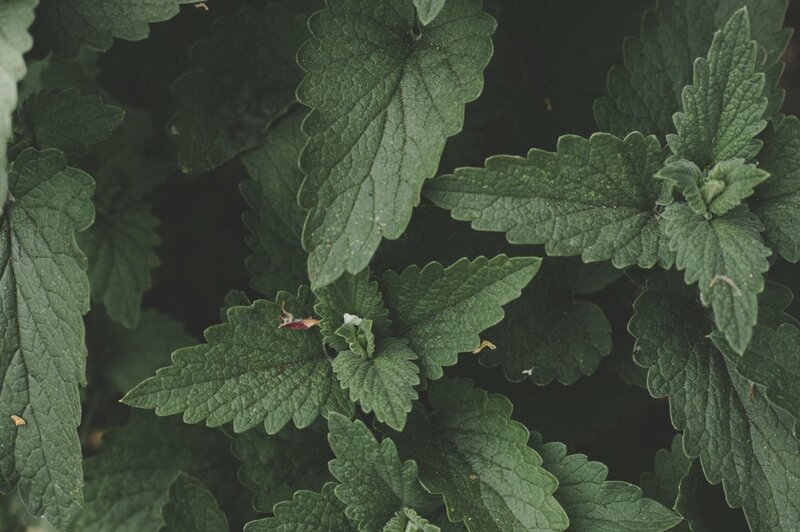 The Lamiaceae (or mint) family is a widespread family that extends far beyond your garden variety Peppermint and Spearmint to include Bee Balm, Lemon Balm, Skullcap, Self-Heal, and many more. Despite the wild differences in flower shape, color, and scent, there are a few attributes that make mints one of the easiest families to identify. Nearly all mints have opposite leaves and a square, hollow stem. If you pinch the stem lightly with your finger you can feel the well defined sides and corners. This is a simple way to identify both volunteer mints in your garden plot and the many native mints that pepper hiking trails around Missoula. Mints are versatile in their usage, and a wonderful pollinator plant, but gardeners beware! Mints have a prolific root system and will quickly take over a garden bed. Instead of planting them directly into the ground, keep them potted so that they remain contained. This quintessential garden mint is good for medicinal teas and afternoon mojitos alike. Greek mythology attributes Peppermint's quintessential scent, along with many other natural phenomenon, to a quarrel about love. According to myth, Hades (god of the underworld) fell in love with a water nymph named Menthe. Hades’ wife Persephone was displeased with this turn of events and transformed Menthe into a lowly mint plant who would live in the damp shadows and be forgotten. While Hades was unable to change her fate, he was able to give Menthe a strong and pleasant aroma so that she would be remembered and appreciated. This mythology also speaks to the tendency of mint to live in places where it can keep its feet wet, whether it be in a marsh or by the water spigot at the Northside Community Garden. Mint has traditionally been used both as a calming, aromatic herb and for respiratory ailments (e.g., colds or sinus headaches). It’s good fresh or dry, in drinks or baked into cookies. Lemon Balm gets its common name from the plant’s subtle, lemony scent and taste, and is perhaps my favorite garden mint. Its latin name, Melissa, comes from the Greek word for honeybee, again referring to the pollinator’s great love of mints. Melissa has been used consistently as a calming and mood-lifting herb since ancient Greece, good for anxiety, nervousness, or mild insomnia. In medieval England it was added to spells to heal broken hearts. Lemon Balm essential oil is one of the most expensive to buy due to the sheer number of flowers that go into a single ounce, but starting your own patch for fresh and dried leaves is incredibly simple. Also known as Wild Bergamot, Bee Balm is typified by wild, colorful blooms that is loved by hummingbirds, butterflies, and, of course, bees. There are some prolific patches of Bee Balm in the native plant border at the Milwaukee Trail Community Garden that play host to some of the largest bees I’ve seen in Montana. Bee Balm leaves can be used as a substitute for peppermint in teas and other recipes, and the edible flowers can be added to salads.